From transforming an old soup kitchen into a boutique hotel to starting a vintage hamburger joint, the Abdo’s have made business a family affair. 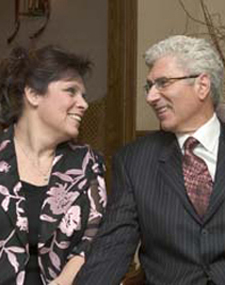 Larry and his wife Caryl, have four children who all work for one Abdo enterprise or another and have since they were kids. Larry started making money in the stock market by wagering the proceeds of his student loans. After graduating college he served in the Army, opened a one-man brokerage house, and then sold it to start an ice company. Larry and Caryl’s portfolio includes companies involved in real estate, food services, and even include a block-ice company.